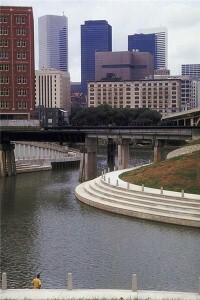 While many local residential and commercial markets across the country continue to struggle, Houston was recently recognized as one of the top real estate markets to watch in 2013.According to a report from the Urban Land Institute and PwC US, a low unemployment rate paired with a heavy presence of the energy industry pushed Houston to the fifth spot on the list. This was an increase from eighth last year.”With the outlook for commercial real estate continuing to improve in 2013, investors are expected to allocate substantial sums of capital to the real estate asset class, according to our survey respondents,” said Mitch Roschelle of PwC.Meanwhile, Houston real estate is also expected to experience notable gains in 2013 after gaining considerable momentum so far this year. During the month of September, single-family home prices appreciated 4.7 percent on an annual basis, making 16 straight months of increases.This development pushed average Houston home prices to $220,992. Investing in local property could prove to be a profitable investment in the near future if prices continue this upward trend.?? Real Estate News brought to you by 2M Realty, a true expert in the online real estate market.